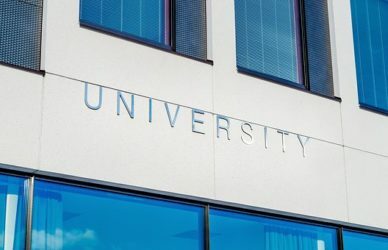 Many people are beginning to question whether a four-year college degree is worth the high cost of tuition, especially since many students now have to take out student loans that they will be paying off for years in order to afford their schooling. Forbes reported that students attending Chicago-based MacCormac pay about $25,000 a year for a two-year court reporting program, but most students get some form of financial aid, bringing their cost to $13,520 a year. A court reporting student who gets a degree at MacCormac is likely to come out with about $30,000 in debt but will likely get a job paying at least $40,000 annually, Forbes said. As they progress in their field, students will probably make between $50,000 and $100,000 court reporting, depending on where they work. Other jobs such as medical records clerk, paramedic, welder or long-distance truck driver also pay good wages without a college degree. According to the National Center for Education 19.9 million, which is higher than the enrollment of 15.3 million students in fall 2000. Total enrollment is expected to increase between fall 2018 and fall 2027 to 20.5 million. Women are expected to account for the majority of college and university students in fall 2018, with about 11.2 million women enrolled compared with 8.7 million men. Also, more students are expected to attend full time (an estimated 12.1 million students) than part time (7.8 million students). About 6.7 million students will attend 2-year institutions and 13.3 million will attend 4-year colleges. About 17 million students are expected to enroll in undergraduate programs. During the 2018–19 school year, colleges and universities are expected to award 1.0 million associate‘s degrees; 1.9 million bachelor’s degrees; 780,000 master’s degrees; and 182,000 doctor’s degrees. In 2015–16, postsecondary institutions awarded 939,000 certificates below the associate‘s degree level, 1 million associate‘s degrees, 1.9 million bachelor‘s degrees, 786,000 master‘s degrees, and 178,000 doctor‘s degrees.